I gave Avery this book for her recent birthday because she was our first baby. If you have children, you know that all of them are special to you. But your first child is unique and incomparable to the others because they were your very first; they made you a parent. You went through so many meaningful first milestones and indescribable ups and downs that first year; those first few years. You transformed into a different person. Life changed forever (for the good, of course) and was never, never the same. 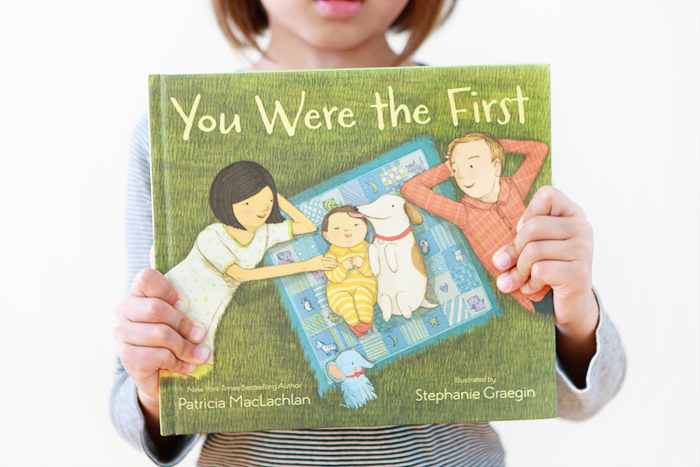 You Were the First was written by Patricia MacLachlan and illustrated by Stephanie Graegin. The illustrations were inspired by Park Slope in Brooklyn, New York.